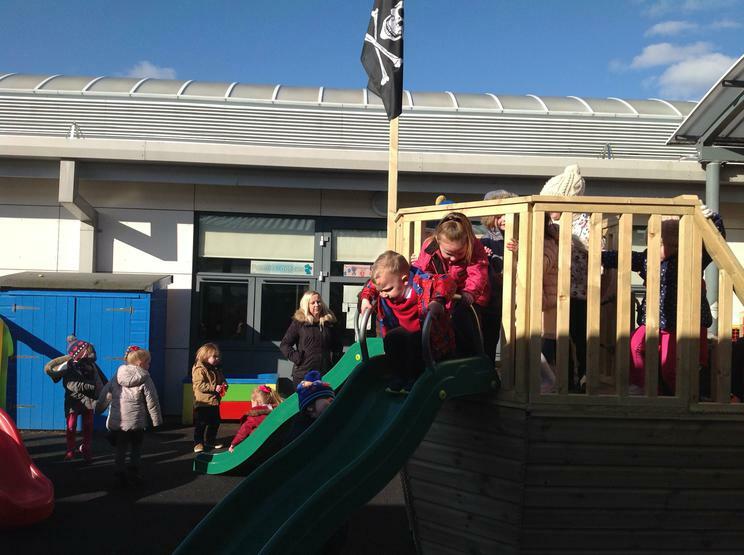 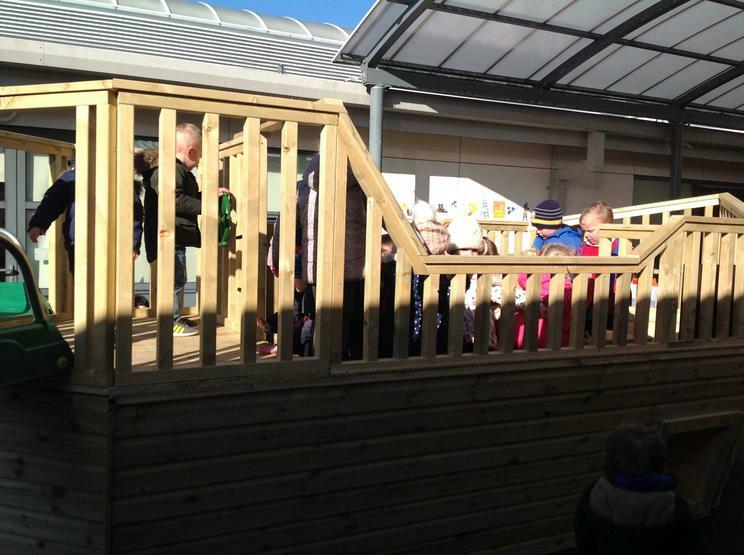 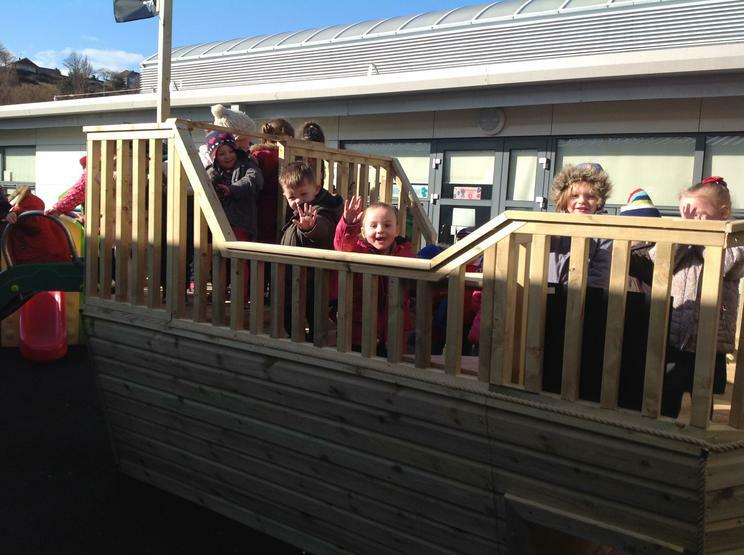 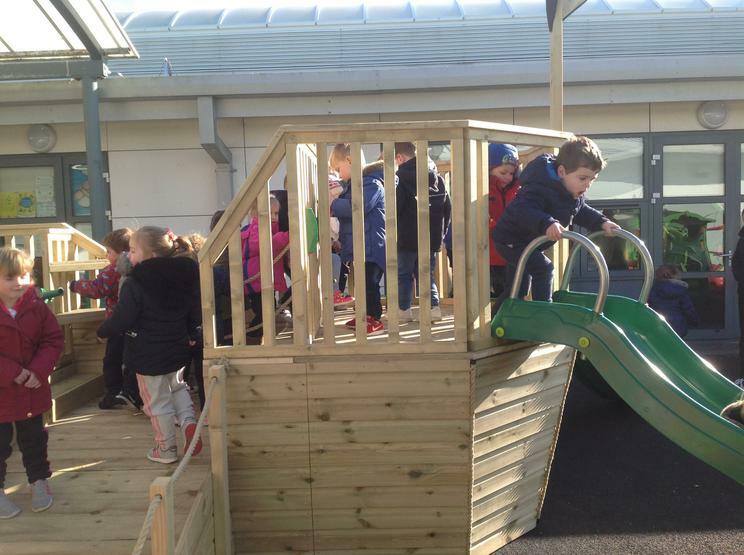 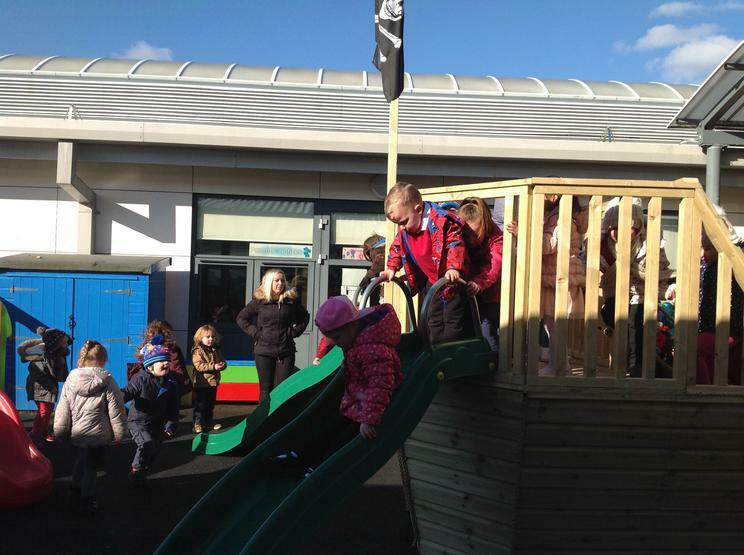 There has been great excitement in the Foundation Phase playground with the arrival of a brand new pirate ship. 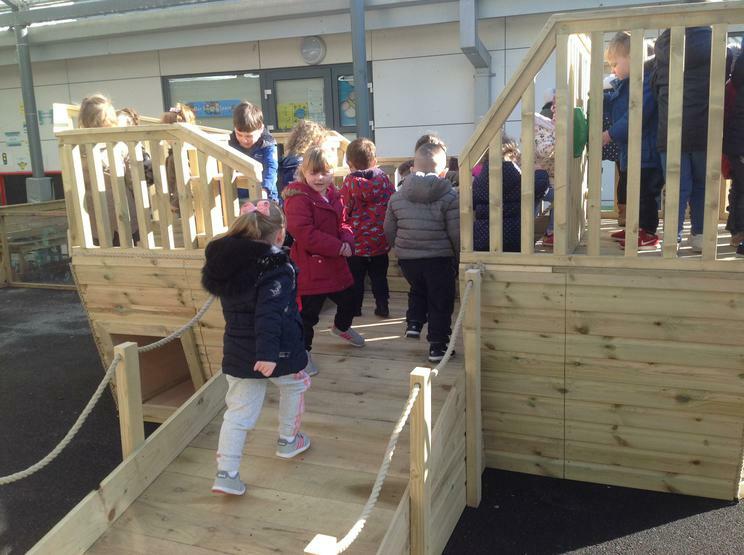 The beautiful wooden structure has been made by local company Woodenbale and their professional workmanship has meant that pupils in Flying Start have a wonderful resource to access when they are learning and playing. 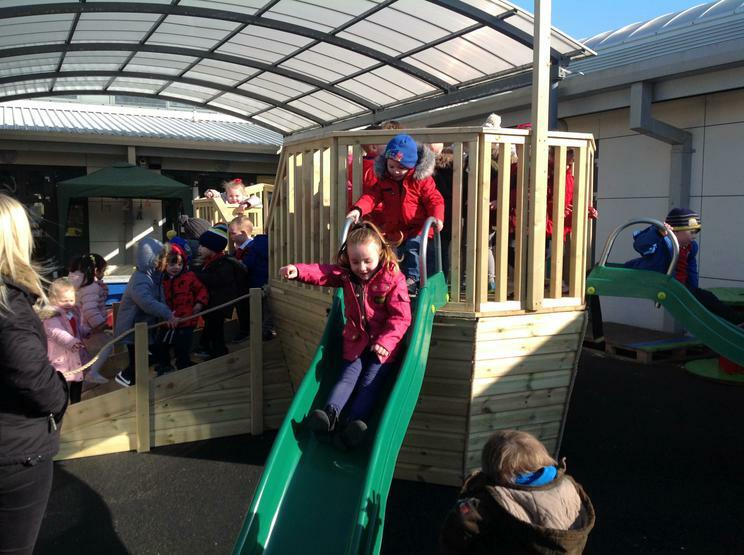 Sally Evans, Head of Flying Start, said "Flying Start were lucky to have some money to spend to improve their existing outdoor area. 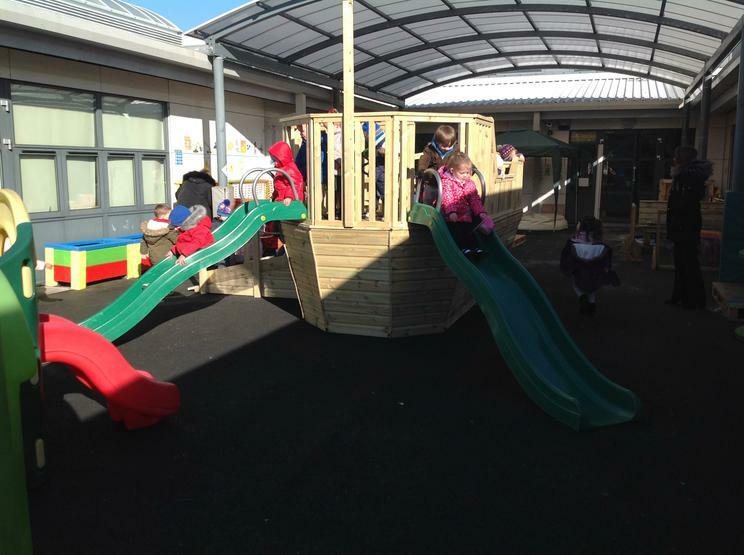 After viewing some amazing products online we decided to visit a local company ‘Woodenbale’ to see what they could design for us. 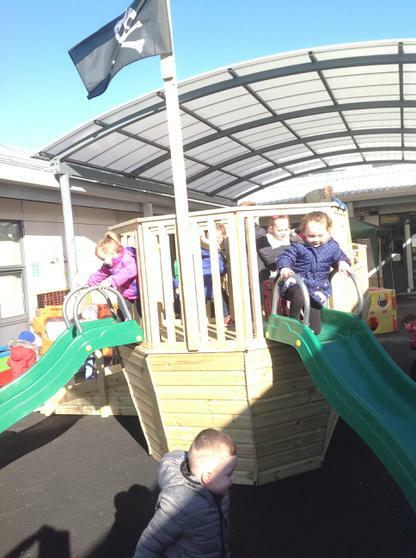 Woodenbale were very keen to build us a pirate ship and they had some great ideas, even ordering us a pirate flag to set it off! 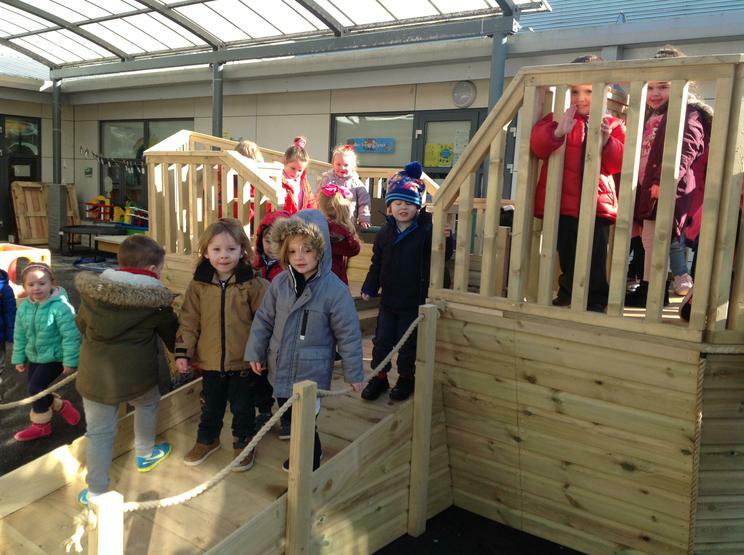 Woodenbale promised us we wouldn’t be disappointed and we certainly were not We were overwhelmed with the finished product and the children and staff absolutely love it!"